Professional compounds use Ground-Guards Ltd! One of the Ground-Guards team, Dan Devenish, was passing by a site yesterday and called in to check on how things were going. 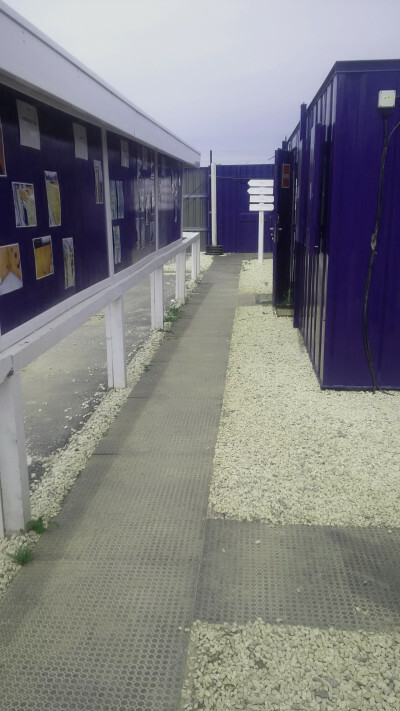 Looks like our FastCover tiles were doing a marvellous job at protecting this site compound. Fastcover is used for temporary pedestrian walkways or site compounds! Call us today on 0113 2676000 to discuss your requirements…! Thanks for the pictures Dan!